A molecular dynamics simulation with an embedded atom method (EAM) potential was performed to simulate metallic glass formation in a 32000-atom cubic supercell of a Cu64Ag36 alloy. The obtained cooling curve and pair distribution function possess features that support the formation of a metallic glass. The reduced glass transition temperature Trg was calculated to be 0.53, which passes the Turnbull criterion for good metallic glass formers. Z. H. Fernandez and F. N. Paraan. 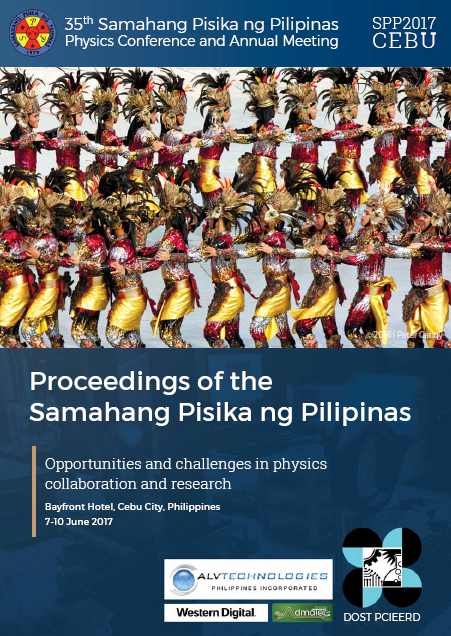 Molecular dynamics calculation of the reduced glass transition temperature for a copper-silver metallic glass, Proceedings of the Samahang Pisika ng Pilipinas 35, SPP-2017-2B-06 (2017). URL: https://paperview.spp-online.org/proceedings/article/view/123.